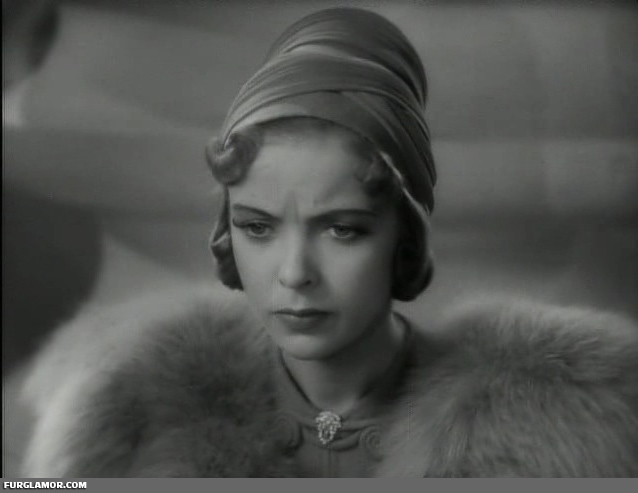 Who can’t use more Ida Lupino in white fox? 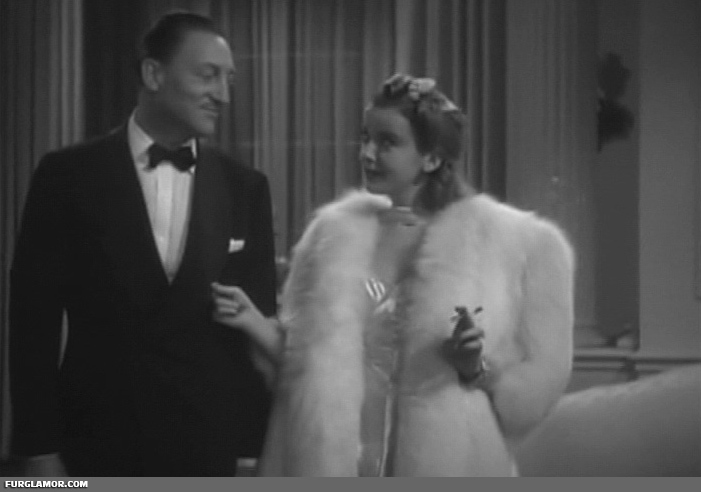 Fight For Your Lady was Miss Lupino’s film before her fashionable exploits in The Lone Wolf Spy Hunt two years later. It’s a broad comedy with the usual themes of suicide and alcoholism. Yes, this is lighthearted comedic romp that mixes opera, wrestling, and the ever amusing alcohol abuse and suicide. Ah, simpler times. 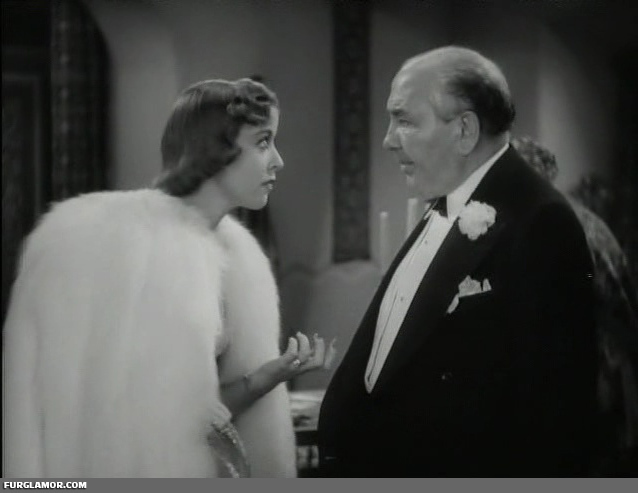 Cash strapped Manager Ham Hamilton’s (Jack Oakie) champion Mike Scanlon gets involved with opera singer Marcia (Margot Grahame) and doesn’t throw a fight. This causes Ham more money problems, but leads him to meet with the singer’s fiance Robert (John Boles), whom Marcia eventually leaves at the alter for Mike. 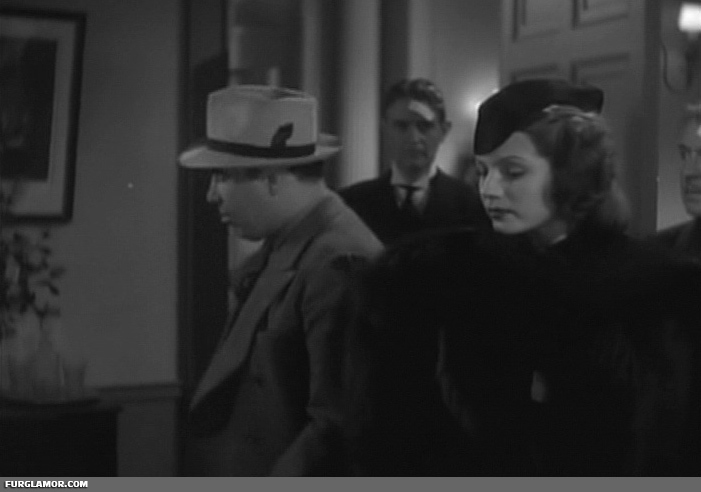 This leads to heavy drinking, thoughts of suicide, and eventually to a trip to Budapest where Robert falls in love with a local singer named Marietta (Ida Lupino) who has a jealous boyfriend named… wait for it… Spadissimo (Erik Rhodes). Spadissimo is quite the killer of Marietta’s would-be paramours, and Robert thinks death-by-Spadissimo is just as good as any… Man… this is a complicated plot… Anyway… uh… Robert and Marietta live happily ever after, which you all knew going in, but this one takes a really twisted road getting there. Convoluted plot or no, they did a good job in the costuming department. 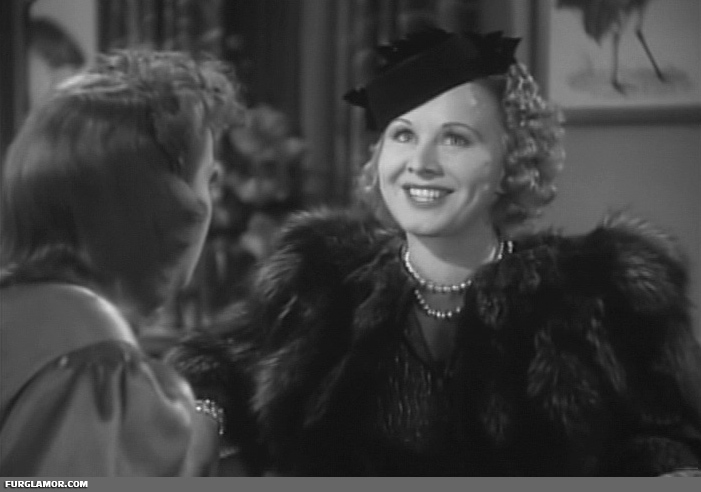 We have the two female leads in lovely fox furs, and, for a very brief moment, in lovey fox furs on screen together. This is always notable if the film you’re watching isn’t The Mad Miss Manton, where in it’s notable because there’s only two. 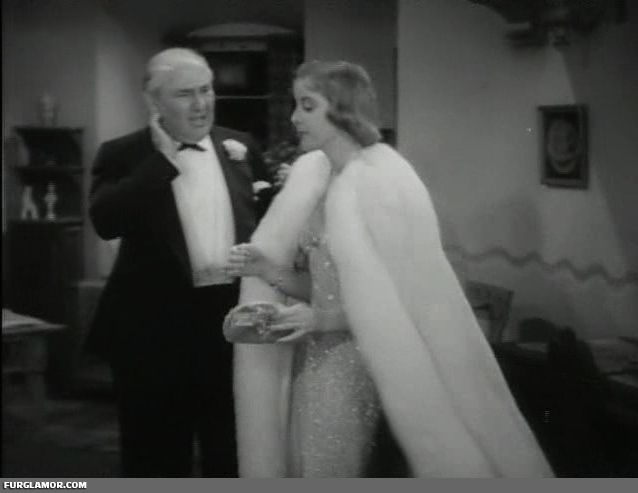 The character of Marcia Trent follows the standard 1930’s gold digger pattern of being well off enough already to wear furs, yet still desperately needs to marry into money. I have absolutely no trouble at all suspending disbelief for this. Granted… I’d suspend disbelief if someone onscreen walked into a fast foot restaurant and the girls behind the counters were draped in huge fox coats. Wait, that kinda already happened… I digress… Here’s Marcia in a nice silver fox collar. 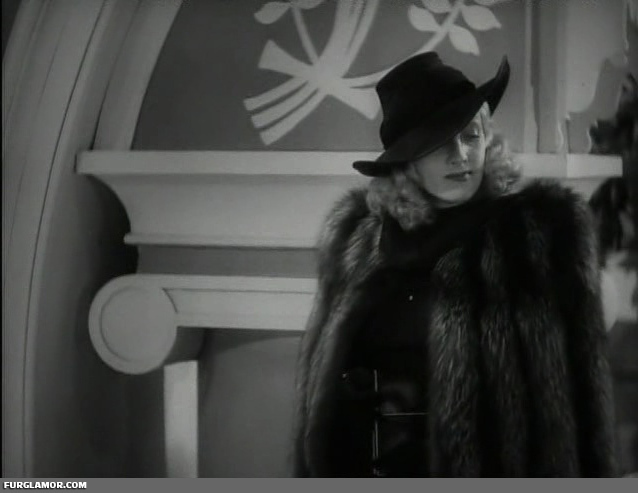 Marcia is played Margot Grahame, who is costumed very blonde femme fatale in this film, and it works well for her. Enter Lupino. 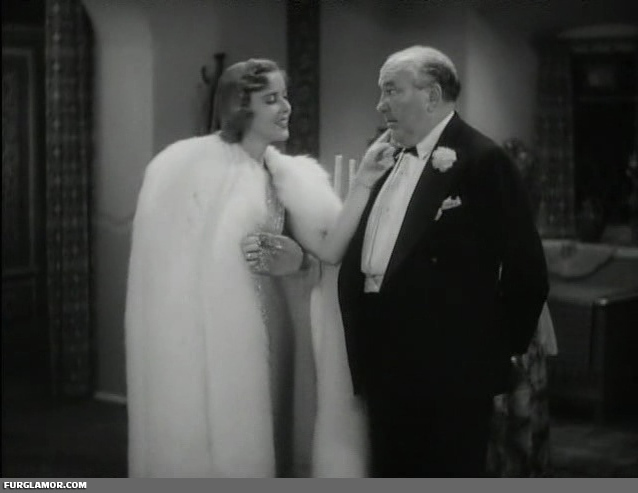 If you’re keeping score, and I know you are, this lovely full length white fox wrap is rather reminiscent of the full length white fox coat Miss Lupino will we be wearing 2 years later in The Lone Wolf Spy Hunt. It’s almost as if she took a couple years off to negotiate a pair of sleeves. Not that I mind, I can put up shots of this all day. 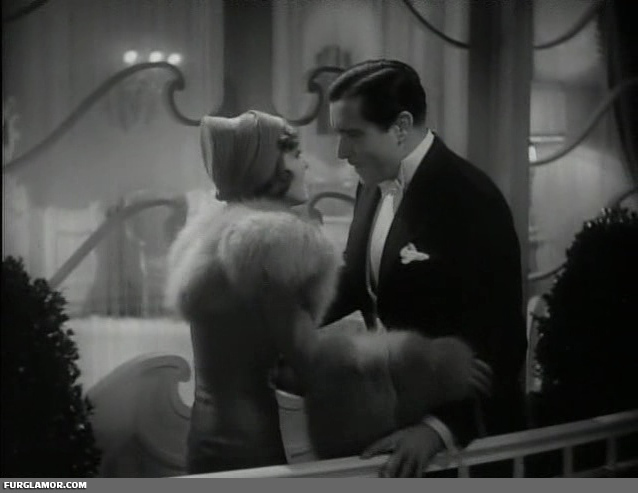 Though I regret to say, while this is the best fur in the film, it also appears for the shortest period of time. The consolation prize isn’t all that bad, though. 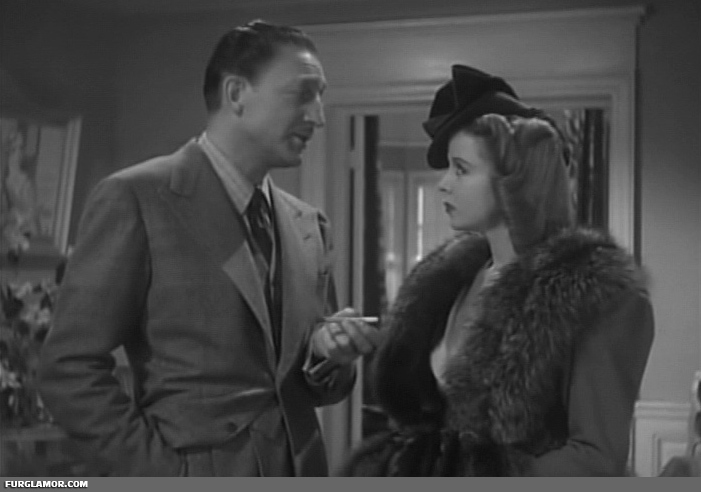 Here we have Miss Lupino in a fox collared dress and matching fox muff. 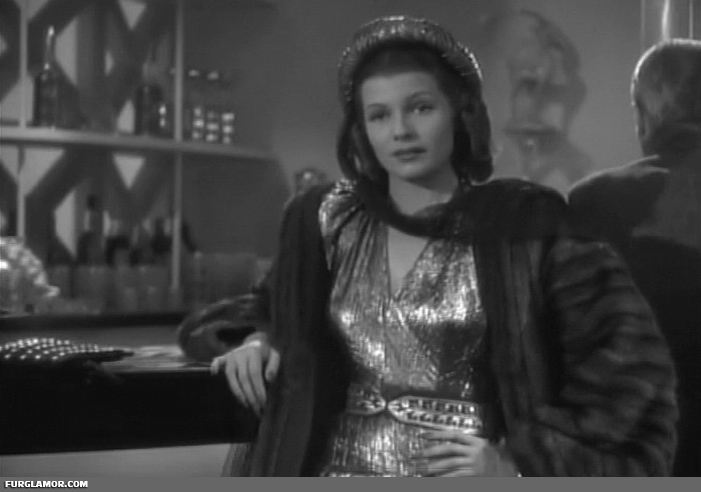 This is a the start of a reasonably long sequence of the scenes in which she wears this outfit. 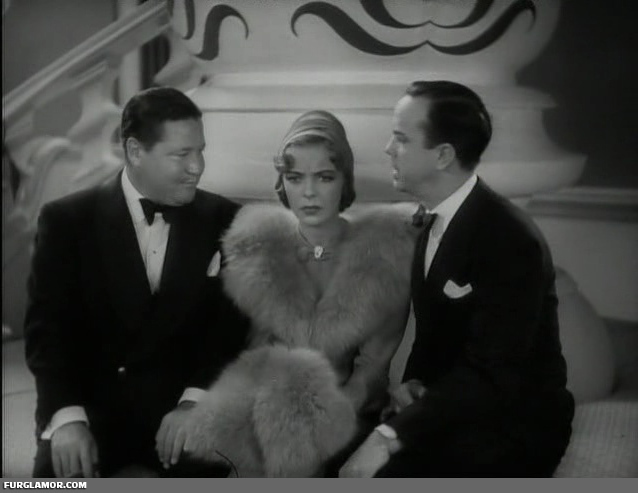 Here’s one of the better views, as Marietta, Ham, and some other guy chat about how complicated the plot is for a late 30’s screwball comedy. 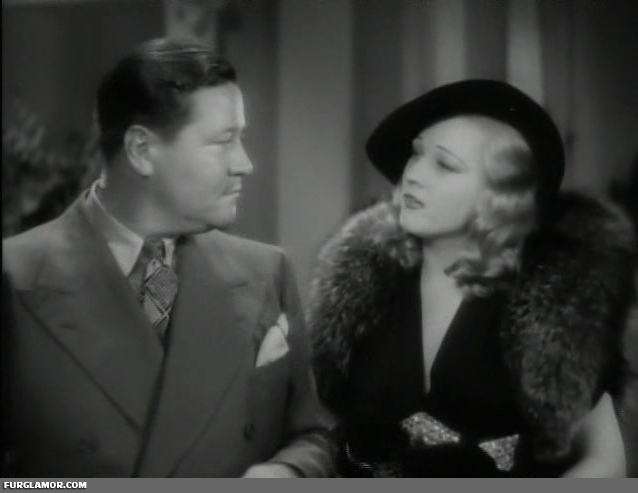 I do levy my usual critique of most furs on screen; the muff could be larger. You could say I’m a fan of very large muffs… but then everyone would start giggling, and we can’t have that. 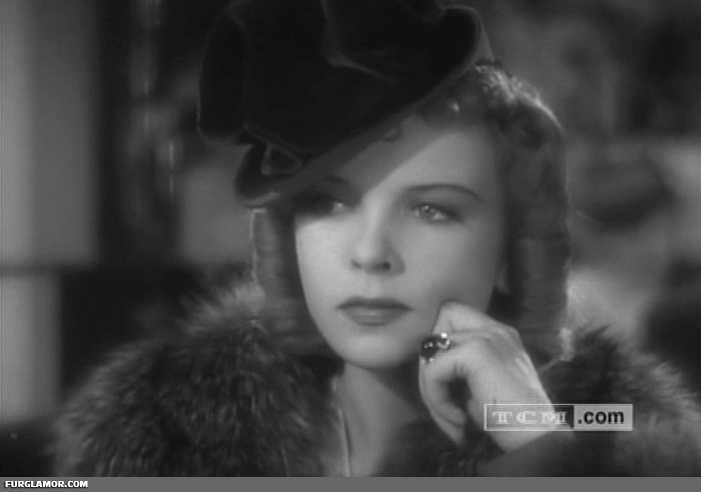 Fortunately, we do get some quick close up shots of Ida Lupino’s lovely features framed by the fox fur collar of her dress. Marcia ends up in Budapest too, of course, otherwise things would not remain sufficiently complicated. 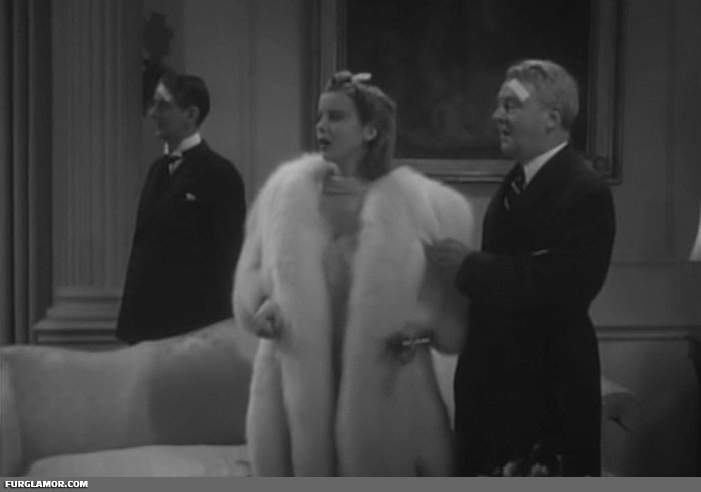 Margot and Ida have one quick scene together in their fine fox furs. Really easy to figure out which one is the “bad girl”, right? While part of me wishes it was a silver fox hat, I can’t deny the way this one accents the fur is damn near perfect. 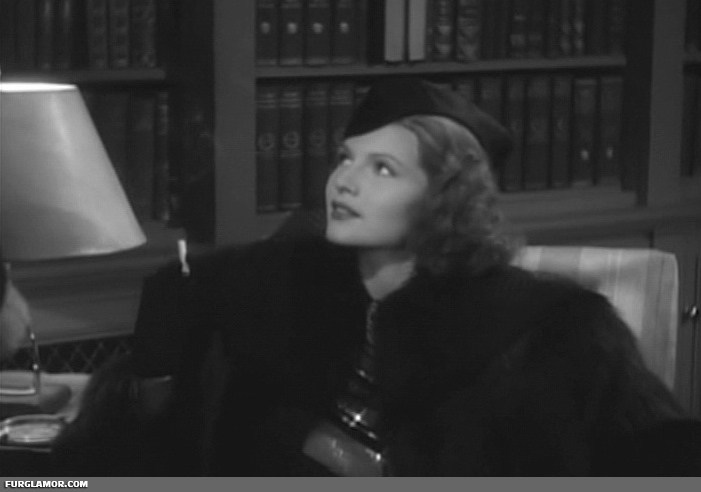 This is textbook period femme fatale in furs. Finally, near the very end, we have a short sequence with Ida in a silver fox collar of her own speeding to some destination to save Robert before good ole Spadissimo can kill him. 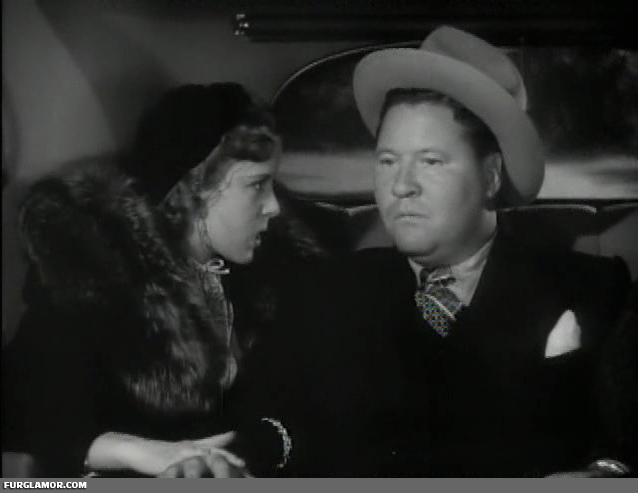 This one is kind of annoying in that the characters she shares the back seat with are far less photogenic than Ida Lupino. 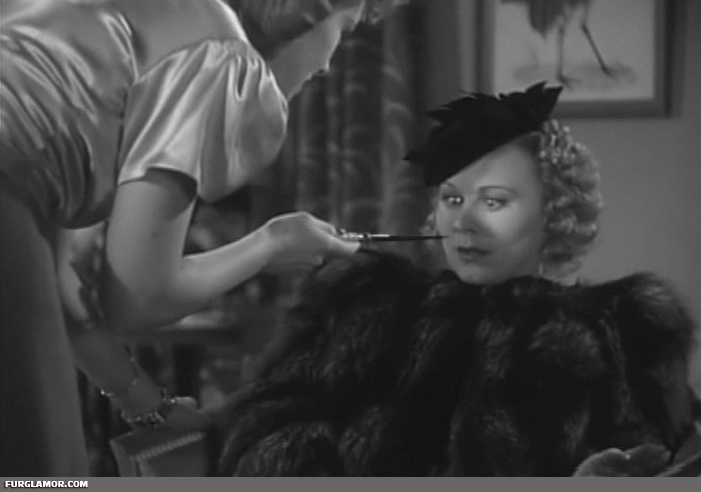 A solid outing from 1937, not only for Ida’s big white fox wrap but the Margot Grahame’s skillfully constructed bad girl outfits. The runtime stats aren’t spectacular, but solid. For any film a 10% ratio is pretty good. Stills last forever, after all, even if they are captured from something that was on screen for only a few seconds.